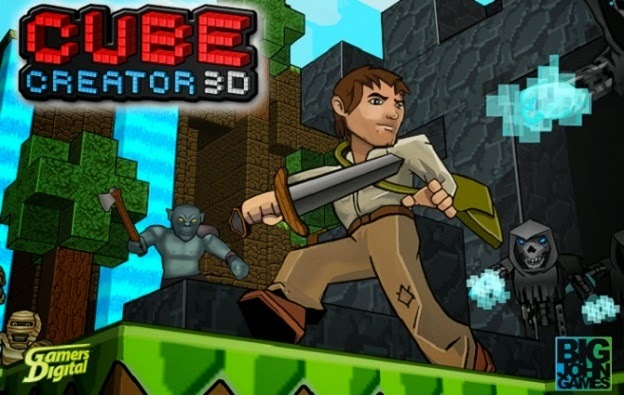 Cube Creator 3D is a game that is of great interest to many Nintendo platform owners. 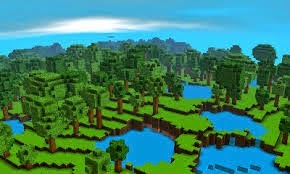 It's because Minecraft has skipped Nintendo's systems, and fans have been clamoring for any kind of substitute, so much so that the demo for the game will have crossed over 200,000 downloads by the conclusion of this upcoming weekend, according to Ken Patterson of Big John Games. The studio wishes to step in and provide a fitting and polished voxel-based game substitute with their soon-to-be-released Cube Creator 3D. Last week, I was able to catch the Big John Games team to ask them about details surrounding Cube Creator 3D, its features, possible continued support of the game, how the team is trying to bring a fun voxel-based game to the 3DS, and information about future projects and prospects. If you missed my interview in 2012 with Big John Games' Ken Patterson, talking about how the studio came into fruition among many other subjects, you can check that out here. Without further ado, let's get to this second Big John Games-focused interview! Phil Stortzum (PS): Firstly, I’d like to take this opportunity to thank you for agreeing to this interview. It’s really appreciated. My first question regards what made your team decide to create Cube Creator 3D in the first place. Where did the desire come from? Big John Games (BJG): When we first started developing Cube Creator 3D, there were no voxel type games available for the 3DS. We wanted to see if we could make something similar. There was a demand for it and we wanted to supply a quality product to fill the void. PS: It’s no surprise that Cube Creator 3D is inspired by Minecraft. Is your team doing anything to distinguish your game so it isn’t just another Minecraft clone (and I use the word “clone” in a non-derogatory way)? BJG: Minecraft got a lot right. We wanted to make sure we got the fundamentals of what made it what it was and then expand from there. We have added different types of enemies, they are similar in ways but also different. We have portals that will take you to different environments. Each environment is specific, Plains, Mountains, Snow Mountains, and Desert. PS: What details can you provide about Cube Creator 3D different modes? BJG: There is a Creative and Survival Mode. In Creative you pick one of the maps and all of the items are available to you. In Survival you start in one map and have the ability to transport to 3 others. You have to collect all of your materials, survive enemies, collect food, you can sleep at night. Very much what you might think of for a typical survival mode. PS: How big of a playing area can players expect to see with Cube Creator 3D? 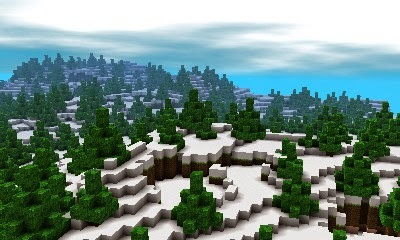 BJG: There will be four 192x192x95 worlds in a survival map, and you can choose one 192x192x95 map for creative. Each map has over 3,500,000 spots that can have a cube put in them. 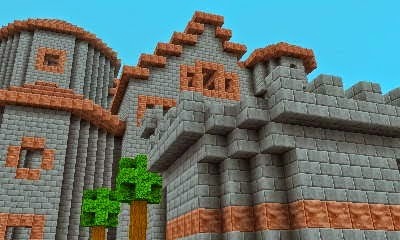 PS: Minecraft allows for grand creations such as towns and castles. What limitations, if any, are there to what players can create in Cube Creator 3D? BJG: Size would be the only one, Our world is 192x192. That can limit a mega build, but for the most part anything a player can imagine they can create. PS: Is there any form of multiplayer or sharing of creations with other players? BJG: Miiverse is the way you can share images of the creations at this point. We are looking into multiplayer as a future update. PS: Then, your team has considered future downloadable content and/or support for Cube Creator 3D after its release? BJG: We do plan on gathering feedback and releasing updates. Our hope is to continue supporting Cube Creator 3D. We hope to have open dialogue with our customers and make sure that they know that we hear them. PS: Speaking of which, Cube Creator 3D does not have a firm release date yet. Do you have a release period in mind, or even more, an exact release date? Will the game be available for SuperPhillip Central’s non-North American readers any time soon? BJG: We are very close to submitting the full version to lot check. Once Nintendo has approved the submission we will be able to lock in a release date. PS: Shifting our attention away from Cube Creator 3D, I’d like to take this opportunity to ask you about your team’s future proposed projects. Do you have something already in the works as your next Nintendo 3DS project? Is there anything you can reveal about it today? BJG: In production is “Lionel City Builder 3D: Rise of the Rails”. It’s a city building game that features trains. It has a pretty cool story that takes the player 50 years into the future and transportation has broken down due to neglect and fossil fuel shortages. Communities are isolated and decaying since current transportation cannot support survivable commerce. The idea of using trains to reestablish transportation and commerce, with your help, can save the day. Our Coaster Creator 3D sandbox has been expanded and enhanced to make Lionel City Builder 3D: Rise of the Rails a great creative experience. 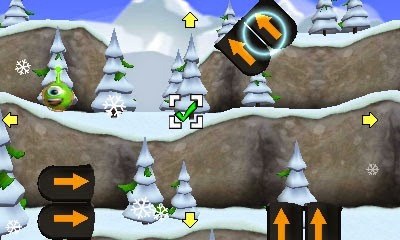 PS: This is purely a selfish question, but one of my favorite games from Big John Games was Kart Krashers on DSiWare. Has there been interest expressed by your team to return to that series, possibly for a Nintendo 3DS sequel? BJG: We would love to create a sequel with multi player, tournaments, and more crashing chaos. It’s on the short list. PS: What makes your team decide for its games to stick primarily to Nintendo platforms? BJG: We love the Nintendo platforms. Nintendo is always coming up with cool player input and feedback systems. The eShop, if done properly, is a great place to sell games and earn some revenue for our studio. The eShop audience is receptive to games created by studios like ours. The online news portals, like yours, covers digitally published games. Consumers of the eShop can find out info on literally any game being sold on the eShop. Nintendo continues to improve the digital buying experience. We look forward to growing with Nintendo as it increases its digital publishing platforms. PS: In our first discussion together back in 2012 I asked about Wii U development for Big John Games. You responded that the team was going to start developing Wii U projects the following year. How is that progressing? Is there any information or screens you can share about this project? BJG: We keep looking at Wii U projects. Right now it seems like our resources are better spent making 3DS games. That will change once the right game concept comes along. PS: This leads me to my next question, how is developing for the Wii U? For ignorant folks like me who are console development illiterate, how much of a difference is there between developing for the Nintendo 3DS and the Wii U? Do they have any similarities? BJG: We have not built anything on the Wii U yet. We have done Wii, DS, DSi and 3DS games. There is a similarity among the console dev tools that even the Wii U shares. Each system has dev tools that high light features of that particular platform. We write our code in C++ and have found that much of our core code ports well between Nintendo systems. Since each system has different graphics abilities. We try to bring out the maximum capability of each system in regards to graphics. Also player input devices are different, so a lot of thought goes into how the player will interact with the game. Nintendo offers some really cool and unique user feedback experiences. PS: Moving on from the future to the past, regarding your Nintendo 3DS games and DSiWare titles, have sales been kind your games? Which titles have seen the greatest success thus far? BJG: We sold a lot of Thorium Wars on the DSi, our sequel on the 3DS has not done as well. Our Big Bass Arcade games have done well on all of the Nintendo platforms. Coaster Creator 3D has sold well on the 3DS here in North America, Europe and has sold really well in Japan. We are very honored to have some of our games selling in Japan. Reviewers and players seemed to like Ohno Odyssey on the 3DS. But it still had trouble finding an audience on the eShop.. Maybe your readers can download the demo of Ohno Odyssey and give it a try. If they like the demo maybe they will get the full game. It’s a lot of fun to play. We lowered the price to $3.99 and did a content update to add 14 more puzzles, hopefully the demo, the lower price, and the new content will help Ohno find a wider group of players. PS: Thank you very much for answering my questions. I know your answers will be interesting to a lot of people. Are there any parting words you’d like to say to those reading this interview? BJG: Thank you for all you do when it comes to informing your readers about games on the Nintendo platforms. We really do this because we have a passion for playing and creating games. I hope that translates to the players of our games. We really put the player first when we develop our games. I hope your readers will check out Cube Creator 3D, Lionel City Builder 3D: Rise of the Rails and our other games on the 3DS. We love building the games and really love it when people play and enjoy games. My thanks to Ken Patterson and the Big John Games team for taking time out of their busy schedule and final prep work for Cube Creator 3D to answer my questions.